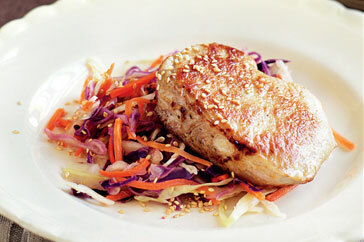 All it takes is a mere six ingredients, to serve up Pork steaks with warm coleslaw. Heat a frying pan over medium heat. Cook sesame seeds, stirring, for 2 to 3 minutes or until golden. Transfer to a bowl. Heat oil in pan over medium heat. Cook medallions, in batches, for 3 to 4 minutes each side or until cooked through. Transfer to a plate. Cover to keep warm. Wipe pan clean with paper towel. Heat pan over medium-high heat. Add honey and orange juice. Stir to combine. Bring to the boil. Add coleslaw. Cook, stirring, for 2 minutes or until just tender. Stir in sesame seeds. 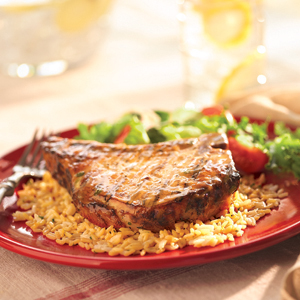 Serve pork with coleslaw mixture. 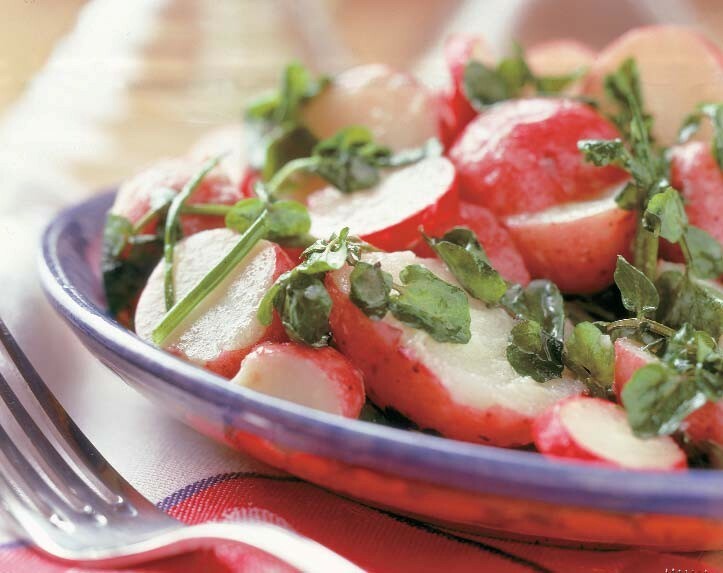 You could serve this meal with steamed or roasted potatoes. Fine coleslaw is available in bags from the packaged fresh fruit and vegetable section of the supermarket. 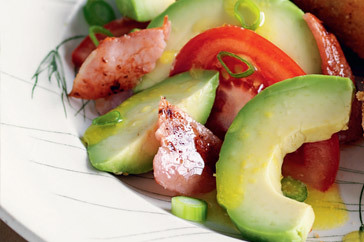 Smoky bacon and creamy avocado are a heavenly match in this easy Spring salad side. Heat a frying pan over medium heat. Cook bacon for 2 minutes each side or until lightly browned. Roughly chop. Transfer to a bowl. Add avocado, tomato and onion. Place mustard, vinegar and oil in a jug. Whisk to combine. Add to salad. Toss to combine. Serve. 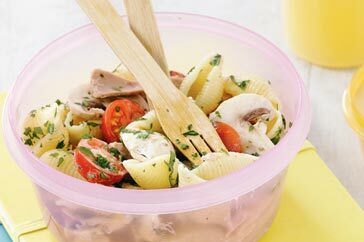 Easy to make and delicious to eat, this pasta salad is a lunch-box treat. Cook pasta in a large saucepan of boiling, salted water, following packet directions, until tender. Drain. Refresh under cold water. Drain. Cool. Combine mayonnaise and lemon juice in a large bowl. Add pasta, tomato, mushroom, parsley and tuna. Stir to combine. Transfer to airtight containers. Refrigerate. Serve. Fill a large bowl with water and stir in lemon juice. Cut off stem and about 1/2 inch from tip of each artichoke. Peel away about 2 layers of leaves until artichokes are pale green. Cut artichokes into quarters lengthwise and add artichokes to bowl of lemon water to prevent discolouration. In a large saucepan combine wine olive oil stock or water garlic parsley chopped mint coriander and peppercorns and bring to a boil. Drain artichokes add to pan cover and simmer for 15 minutes. Add mushrooms and simmer another 10 minutes. Let cool and add salt and pepper. Put in a shallow bowl and sprinkle with mint leaves. toss taco seas with salad. Freeze the bread. This makes it easier to cut. Butter the bread, trim off crusts and cube. Ad 4 hard boiled eggs and the onion; mix well and refrigerate overnight. 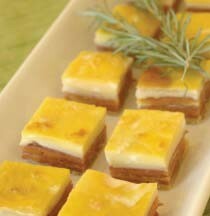 Four hours before serving, add the crab, shrimp and one cup chopped celery and enough mayonnaise to moisten. This makes a large salad. Would serve 10 to 12. Mix ingredients for dressing together. 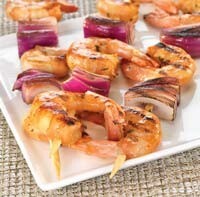 Use Italian dressing to taste. Mix dressing and salad ingredients together. Chill 4 hours or overnight.